Madge Donnellan PhD RN, who valued nursing education and social responsibility equally, died on January 11, 2017, at her Sandy Springs, Georgia, home following a long struggle with multiple myeloma. An associate clinical professor for 22 years, Donnellan forged several university-community partnerships that fostered students' sense of service to others and helped advance health awareness and outcomes for patients and families throughout the region. She spearheaded the nursing school's partnership with Atlanta Public Schools and establishment of the Health and Human Services Academy at Booker T. Washington High School. Through this nine-year collaboration, BSN and MSN students helped prepare high school students for careers in health by improving their academic achievement and college readiness, strengthening their social support, and broadening their awareness of health career opportunities. For years, Donnellan managed two of Emory's nurse-led community clinics in DeKalb County, one at a public housing development, the other at a retirement community. For 10 years, she worked with Emory's Employee Assistance and Wellness Program (EAWP) at Emory Well House. She also was part of the Emory nursing and physician team that helped advance SB480 into law, enabling advanced practice nurses in Georgia to write prescriptions. Donnellan held many leadership positions at Emory: specialty coordinator for the associate to master's of science in nursing (RN to MSN) and the MSN public health degree programs; curriculum committee chair; director of the Family Nurse Practitioner (FNP) program; and director of risk assessment and lifestyle planning for EAWP. Donnellan once was a nurse without a BSN herself. After staying home with her four children for 10 years, she went back to school, eventually earning her BSN and MSN at State University of New York, Buffalo. She completed her PhD in lifestyle health promotion and risk management at the University of Tennessee (UT), Knoxville, where she served on the nursing faculty. "Dr. Donnellan valued education," remembers Emory nursing faculty member Elizabeth Downes 04MPH DNP RN CNE FAANP, who was a student in the FNP program that Donnellan established at UT. "She was an exceptional educator committed to health and wellness and lifelong learning." 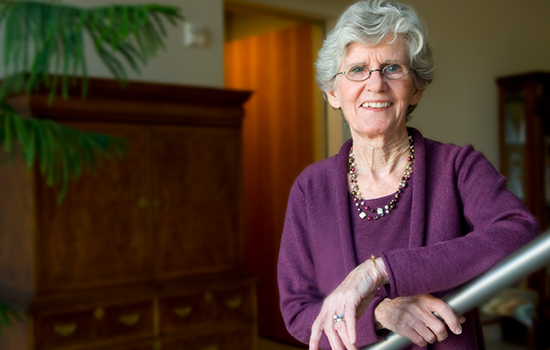 Memorial gifts honoring Madge Donnellan may be made to the Emeritus Faculty Scholarship Fund. To give online, visit emry.link/emeritus-faculty. Or make checks payable to Emory University @ NHWSN; 1520 Clifton Road, Suite 446; Atlanta, GA 30322; Re: Emeritus Faculty Scholarship Fund.